This delicious grey-green kale is pretty enough to plant among the flowers. 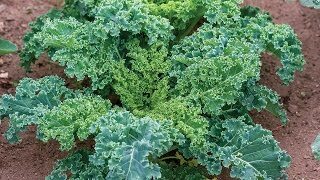 Much larger than regular kale (2 to 3' tall), the stems are purplish and the leaves are shaped like big oak leaves and colored a velvety gray green. The purple colors become richer after frost, when the flavor becomes sweeter. Surprisingly, the big leaves are very tender and delicious. 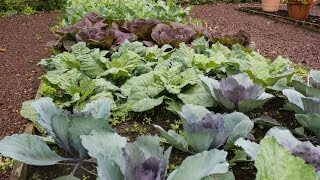 Garden Hints: Kale requires good cultivation; mulch or hoe frequently to keep soil loose and weed-free. Plants may be left outdoors all winter. Frost improves flavor. Kale, Red Russian is rated 4.9 out of 5 by 12. Rated 4 out of 5 by Gwendolyn76 from Wrong variety I bought these off the website. They came up identical to the picture for "red winter organic." They are delicious, they just don't look anything like this. Rated 5 out of 5 by TerrorSpedMom from Hardy! High yield. Grew great from Spring and up until our 10days below freezing. My hopes for the family adopting Kale chips as a snack and decreasing buying lettuce for the guinea pig were shattered, though. So, I'll be giving my leftover seeds away to neighbors with a greater appreciation for Kale than my brood has. Rated 5 out of 5 by Jiget from RedRussian kale-wonderful surprise kale This kale is picked daily to go into a fresh salad with our family-super fine taste !! Rated 5 out of 5 by Bethyboo325 from Hardy and Tasty! Our plants went through a lot of transitions. We couldn't decide where we wanted them so before they were thinned we moved them around at least twice, only a couple plants didn't make it. Then after thinning we moved them into their final home and all the plants took off! They are extremely hardy to the uncharacteristic WA Summer we have had and continue to produce. We will be getting these next year for sure! Rated 5 out of 5 by irelamanda from Greatness This is beautiful and tasty! I use every ounce of each leaf including the stems. I chop the seems up like celery and cook them in soups or sauté them!! The taste is out of this world in regards to its gray robust flavor. Rated 5 out of 5 by Wryter from Superb buttery flavor I live in the desert SW at an elevation of 3500'. Summer temps are usually above 100 and it is very dry -- about 8" of rainfall per year. Winter temps don't get below freezing often, but can dip into the high teens on occasion. Three years ago I placed three Red Russian Kale plants in 6" containers and to my surprise they not only did well, though they remained small, but overwintered (I placed the pots under a nectarine tree) and started producing each spring. They never bolted, which also surprised me. This year I transplanted them into a new raised bed and boy did they take off. I had more buttery, delicious kale than I could handle from just three plants. They did bolt this year so I saved seed, but I cut them back and my goal is to get these same plants to overwinter again (I'll low hoop house the raised bed). I will grow Red Russian kale every year from now on -- though I'm also going to try Lacinado next year. The leaves don't ever seem to get bitter unless you pick really old ones. This is the best kale I've ever planted or eaten. Rated 5 out of 5 by AAK1 from Wonderful plant! Hardy and tasty! This is a wonderful tasting kale, not bitter like the kinds you find in the grocery stores. Even my husband, who despises all greens except spinach, likes this one. You can eat the young leaves raw in salads, and larger leaves cooked in any manner. My mother prefers sauteed with olive oil and garlic. The plants lasted through the quick frosts of Florida winter at its worst, and now it is still going through temps in the 90s. As the weather warms up, the leaves get a little tangier, but still not as bitter as grocery store varieties. It is beginning to struggle now, however. The leaves we harvest don't regrow as quickly in the high heat. I will definitely be replanting this one in the fall!